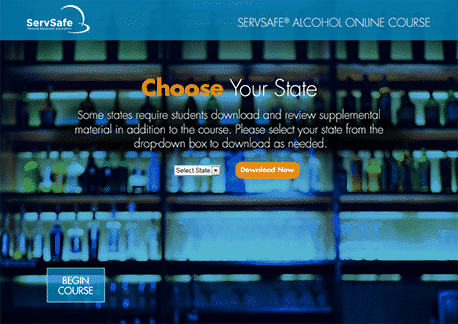 The Thousand Oaks, CA ServSafe Alcohol® Online Course and Primary Exam provides the fundamentals of responsible alcohol service by combining interactive exercises, audio and video and role-play activities to help prepare participants for real-life scenarios. Designed for convenience, this mobile enabled four-hour course has a bookmark feature that allows users to easily return to where they left off. This entry was posted in Class Notices. Bookmark the permalink.